As much as you want a stable family, there are certain challenges in life that upset that desired balance. Whether it is dealing with stress related to finances or a child with disabilities, such issues need to be resolved. While some families can deal with problems internally, some need family counseling for guidance towards a positive resolution. When do we Need Counseling? A breakdown in communication. Is communication with members of the family more difficult than usual? Is “silent treatment” an ongoing pattern? An excess of emotional reactions. Anger, fear, and sadness are normal but it is a tell-tale sign of trouble if these emotions are expressed in the extreme. An expression of helplessness or hopelessness. Doing so is a call for help and attending counseling sessions might provide the needed solutions. A change in the behavior of children. Be it at home or in school, a behavioral change is often a symptom of emotional distress. It becomes a more pressing issue if the change involves being more disruptive, whether the setting is at home or in school. A difficulty in coping with a traumatic experience. Family members might find it difficult to deal with a death, divorce, separation, or any other traumatic event. Going to therapy can provide the answers to dealing with the situation. How to Find the Right Counseling Service? Insurance coverage. 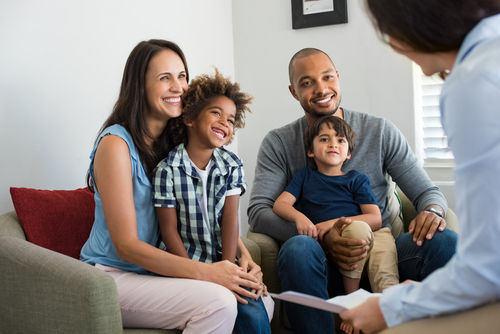 While mental health services are covered in some health insurance packages, family therapy isn’t often considered as part of mental health care. To find out if it is covered by your insurance plan, check with your insurance company, and make note of the therapists that take participate in your plan. Recommendation from family doctor. There’s a good chance your family doctor knows a therapist so you might want to ask them for a recommendation. Suggestion from religious community. You can ask your minister, pastor, or rabbi for suggestions. They might even refer you to a therapist who shares your faith, which can help make sessions more comfortable. Recommendations from others. If you know friends or other family members who have sought the help of counselors in the past, you might ask them for the name of their therapist. Not only that, you can even get more information about the entire process so you’re prepared with what to expect before going in for a session. Once you’ve made a list of possible counselors, it’s time to weigh all factors then make a decision. 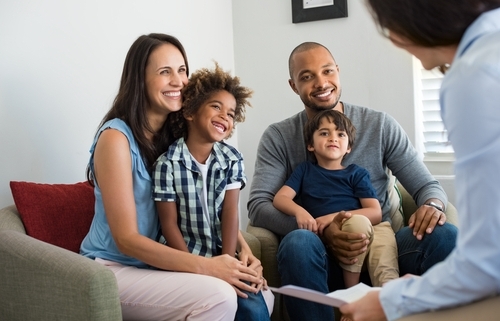 This step may involve calling up the counselor’s offices to ask questions so you can decide whether or not they are the right fit for the family. Suggesting the family attend family counseling sessions is not a low point. It’s an attempt to bring back what was lost and ensure that everyone can deal with problems should it surface again.